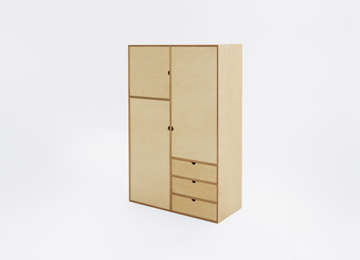 Cabinets and chests are necessary furniture for storage of clothes, clothing, underwear, trinkets. 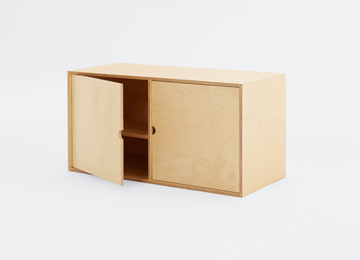 The cabinet may be smaller or extended to the top depending on the needs. Made of plywood matched to the KUBBIK series.